/ Archive by category "Touring"
Once again, the late May bank holiday weekend saw the band venture to distant lands in order to partake of the local food & drink. May the 24th saw the Band head off to Belgium for their latest tour. Despite some cold weather for the first concert, the band enjoyed a couple days out and about and appreciative audiences at the concerts. 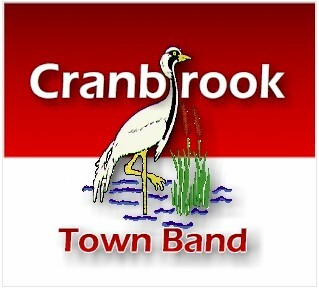 A Conductors Report on the Belgian Tour Cranbrook Town Band has just returned from a very successful and highly enjoyable May Bank Holiday tour to Belgium. The bank holiday long weekend in May is typically the time of year when the band looks to broaden its horizons and travel to foreign shores to give a couple of concerts and time permitting a few excursions to the local hostilleries to sample the local ale. The Band travelled to Valkenburg in Holland and Aachen in Germany for this year’s tour as part of our celebration of the new millennium. We once again travelled over the May Bank Holiday weekend and performed two concerts over the 3 day visit. During August 1997 the band went on it’s first tour to Germany. The band gave two concerts in Weisbaden for the local “20th Anniversary Wine Festival”.